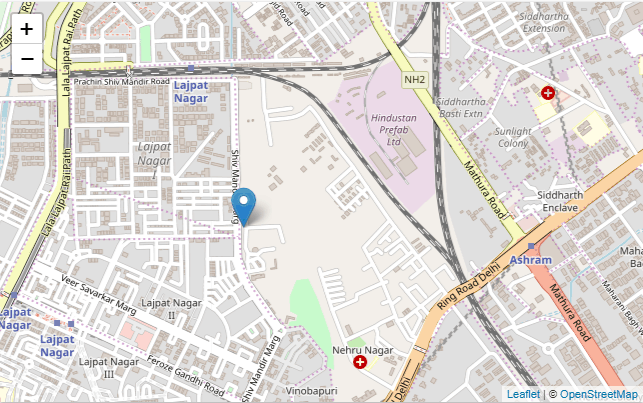 Home / Wpseo_locations / 7 Ways To Choose Best Stock Trading Course in Delhi? Choosing a course for the stock market is a big decision. Although, individuals may feel confident in what they want to do, It’s okay to be unsure about what course for the stock market will be. With little research and introspection, you can choose a course which makes you satisfied. What interests you? Begin with listing the stock trading field that interest. And come up with a list of trader courses based on interest. 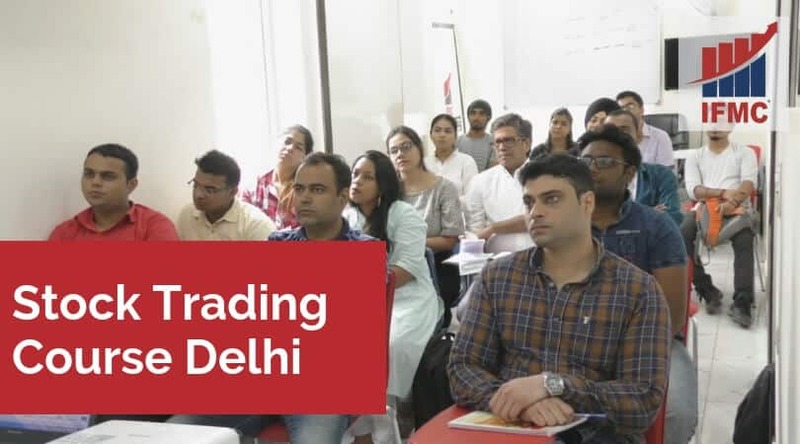 Alternatively, add the topics that you are interested during stock market training in Delhi as well as consider job oriented courses for employment prospects that will be envied others for. Research: The internet, televisions, newspapers, and people around you is the best source for information. Check online about a training course that you are interested in. Indeed find out the career opportunities offered after completing the training programs. 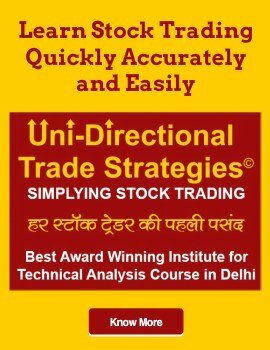 In fact, you can speak to existing stock traders to find out if it is effective to choose stock marketing training in Delhi. Course Content: In order to avoid mistake, ensure to review the course module of training program you want to apply. Evaluate each subject and the types of learning, assignments, and examination. Course Quality: If you are set on going to a particular class for stock market training in Delhi do not let this complete dictate your career choice. Compare course modules and research between the course to ensure you make that course you choose is the right choice to grow a career in the financial market. IFMC offers course offers practical knowledge and skills required to clear NCFM modules exam in live trading. Course Duration: Certification course duration range from 1 month to 6-month program. The choice of degree depends upon your commitment to studies. Taking a course for beginners, job oriented courses, or certification courses certain on your personal choice. Nevertheless, this will ensure that your priorities are balanced with education. Thus, IFMC offers flexible marketing training. Cost of Course: Affordability is another aspect every student need to consider. This also includes additional costs that occur like Demat account opening or software purchasing etc. Career opportunities: Look at the different prospects for a career in stock market before selecting a course. Begin with considering factors like income, job security, responsibility, stress, and other benefits. In fact, this will also help you to find out if a future employer is ready to invest in your education. 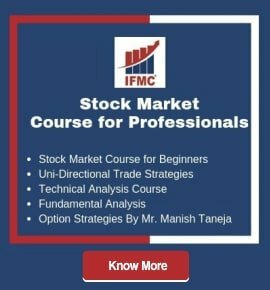 Why Choose IFMC Stock Trading Course in Delhi? The only professional trader program where you get depth knowledge of share market, technical analysis, fundamental analysis, derivatives market, future options, commodity trading, and how to use them to generate consistent profits. Advance Diploma in financial market course covers 10 NSE Modules. Making you suitable to attain a higher position in Financial Market, Banks, Broking Houses, Mutual Funds, Kpo’s. You join as Equity Analysts, Tr. Research Analyst, Relationship Manager, CRM certified Stock Technical Analyst, Fundamental Analyst. You can also become self-employed by taking Franchisee/Sub brokership of Broking House. 6 NSE Modules covered in 6-month programme making you suitable to join Financial Industry, Banks, Broking Houses, Mutual Funds, Kpo’s. You join as Analyst, Dealers, Professional Trader, Advisor, Relationship Manager, Equity Analyst, Branch Manager, Research Analyst. You can also become Self-employed by taking Franchisee/Sub brokership of Broking houses, AMC’S. 4 NSE Modules covered in 4-month programme making suitable for those who wish to enter the Stock Market, Financial Industry, Broking houses, Mutual Funds, and Kpo. This is a stock market beginner programme. You can join in as Stock Market Dealer, System Operator or Support Staff. You can also become Self-employed by taking Franchisee/Sub brokership. 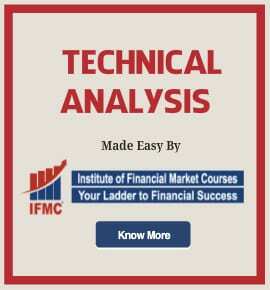 Technical Analysis is the most important course for smart investors and traders. We all understand the competitiveness of the Indian Stock Market. That is why modern technical analyst needs to be able to comprehend market movement efficiently. It’s a one month program designed to educate students on various tools and indicators to predict the price of the stocks. In addition to learning risk management techniques. After completing the courses, students can become NSE certified technical analyst. The course gives you an insight into a profitable technical pattern and trading strategies. Learning techniques to forecast future price movements, based on historical price and after trading variables. Stock Market Course for Traders is a short-term program designed for students and professionals who wish to intraday trade in various segments of the market. Additionally, want to learn to hedge their positions. Trader courses cover the basics of four markets: Capital Markets, Equity Derivatives Market, Commodity Market, Currency Market. Along with complete knowledge of Technical analysis, Fundamental Analysis and Futures and Options Strategies. Share market course fees are highly affordable. This is a must do a program for Intraday Traders. Also, get exposure to live market training. Stock Market Courses for Beginners programme is also available online. and as the name suggests, it’s a beginner series programme. And all those who are new to this Indian stock market can start with this programme. The course includes an overview of Capital Markets, Equity Derivatives Market, Commodity Market, and Currency Market. After all beginners skills are a foundation for smart investors in 2019. You can check our Youtube Channel for free stock market courses for beginners in Delhi. After completing the course students will get nism certificates and ncfm certificates. This programme aims to give you a fair knowledge of the market and gives you a quick understanding. Our UDTS course is popular among 150 countries in the international market. Stock Market Institutes in Delhi is chosen to be an ultimate way to expertise stock market skills. Furthermore, our stock marketing training courses offer outstaning teaching. Besides, being an award-winning Delhi institute it always our focus to let students enrich from our motto of ‘You ladder to success’. In fact, we bring customized stock trading NSE moduel to let aspirants gain skills for success. This is how we remain trsuted for NISM and NCFM modules in Delhi where stdents come, gain skills, and launcha successful career in stock market.